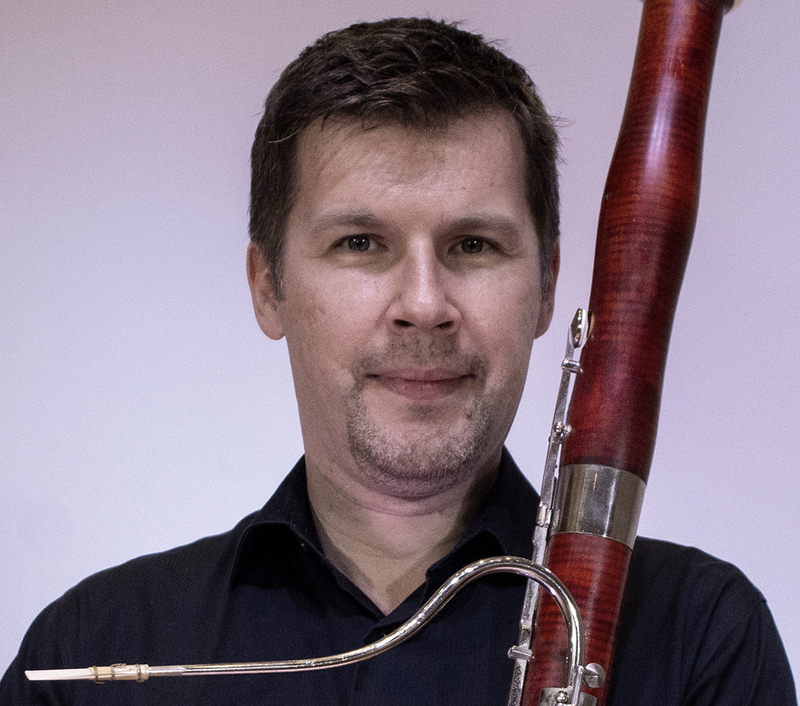 Bassoonist Marat Rakhmatullaev has performed across Europe, Asia and the United States with world renowned conductors including Christoph Eschenbach, Herbert Blomstedt, Mikhail Pletnev, Paavo Järvi, Leon Botstein, Fabio Mechetti, and Scott Speck. His orchestral festival appearances include the Schleswig-Holstein Festival Orchestra, the American-Russian Young Artist Orchestra, the Mediterranean Youth Orchestra, Chautauqua Music Festival and the Texas Music Festival. Additionally, Mr. Rakhmatullaev has performed in various professional orchestras around the globe including the Chicago Symphony, Fort Wayne Philharmonic, Alabama Symphony, Elgin Symphony, South Bend Symphony, Moscow Chamber Orchestra, and the Bilkent Symphony Orchestra, just to name a few. He frequently appears on stage as a chamber musician and was featured as a soloist with The Colburn School Orchestra in 2007 and 2010 and the Coastal Symphony of Georgia in 2014. Mr. Rakhmatullaev holds a Master’s Degree in Orchestral Studies from the Chicago College of Performing Arts at Roosevelt University, from the studios of David McGill and Dennis Michel of the Chicago Symphony Orchestra. He also has a Bachelor of Music Degree from the University of Houston, where he studied with Karen Pierson and Jeff Robinson and an Artist Diploma from The Colburn School Conservatory of Music in Los Angeles, from the studio of Richard Beene. Fort Wayne Philharmonic in Indiana. He currently serves as the Principal Bassoonist of the West Michigan Symphony and is regularly called upon to perform in the Grand Rapids Symphony and Michigan Opera Theater Orchestra in Detroit. A dedicated educator, he teaches privately in band programs of Goshen Middle and High Schools, La Porte area Middle and High Schools and has served on the faculty of various festivals, including the Luzerne Music Center and Coastal Youth Symphony Summer Camp. Mr. Rakhmatullaev comes from a family of professional musicians and currently resides in South Bend with his wife Agnieszka, who serves as the Executive Director of the South Bend Symphony, and their cat Mimi.